The Field Treasure Designs SAW HORSE DESK is BACK! Everyone needs a great place to work, design and create. And you shouldn’t have to be limited to big box stores to get a great desk. That’s why I created the Field Treasure ‘Saw Horse Desk’. I wanted to make a desk that had great design, minimalist and useful. I envisioned a desk that I would WANT to sit at as well as a desk that could be shipped anywhere in the country and easily put together. It’s also fun to feel like you had a part in creating such a great piece of furniture. 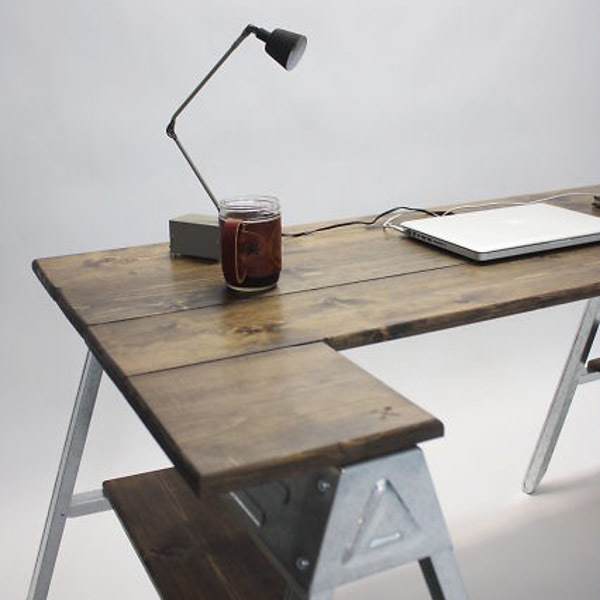 The Saw Horse Desk is a desk that YOU can put together and feel the sense of accomplishment. 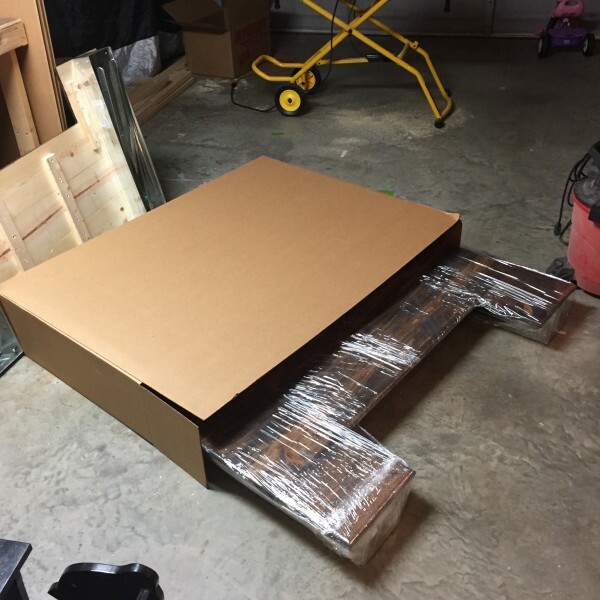 **Please Note: The desk ships disassembled in a 60″ X 12″ X 12″ box and ready to assemble upon delivery. 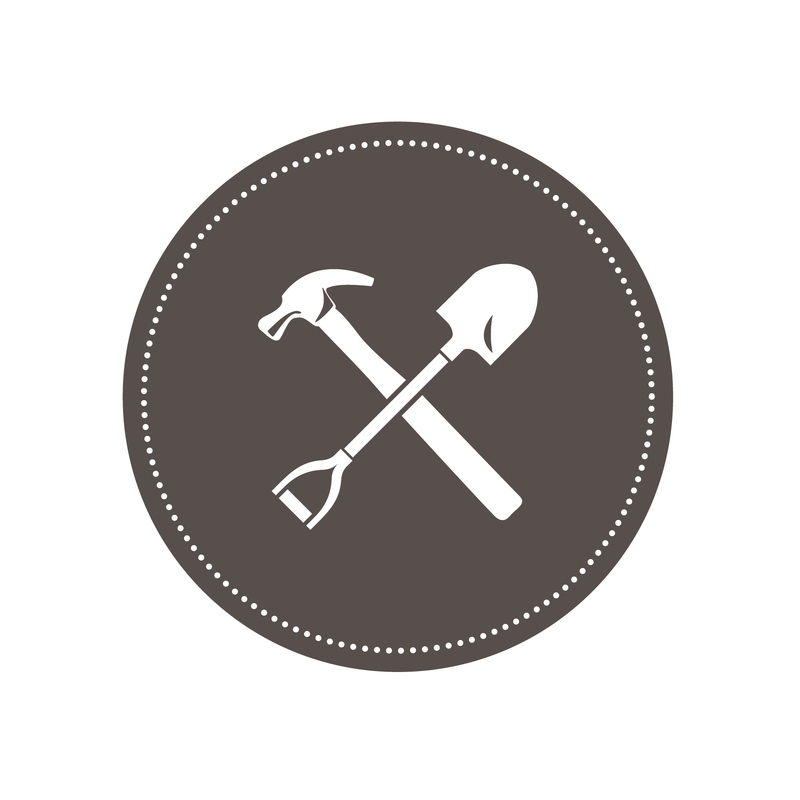 All you need is a screw driver (drill or hand) and at least one eye to be able to read the full-proof directions! Hand crafted and unique look. 6 Outlet Power Strip included and mounted underneath. Unique elbows which are hard to find anywhere else. All chords go down in a hole in the back of the desk to keep things nice and clean. It ships right to your door, and you can have a genuinely handcrafted item sitting in your space ready to go in under 25 minutes. You rock. And you will ROCK with this desk.